In the trading technology world lower latency will always be welcomed, but everyone’s attention is now on a different topic—accessibility. Futures magazine’s recent article “Technology’s New Obsession” delves into the ways trading technology providers are leveraging mobile and the web to make world-class trading tools even more accessible. But it cautions that accessibility cannot come at the expense of user experience or performance. This premise resonates deeply with me and the team at Trading Technologies. So several of us were happy to talk with the author, Skylar Zhang, when she was writing her article. Accessibility was one of the key drivers behind the 2012 launch of our popular visual algo design platform, ADL®. It makes the development of complex algorithms available to traders who don’t have the experience or time to write code themselves or the resources to hire a programmer. ADL’s DIY approach has contributed to the democratization of trading by empowering traders to design, test and deploy automated strategies without manually writing code—and in a fraction of the time it would take to code an algo from scratch. The next-generation TT platform takes accessibility to new heights by delivering world-class professional trading tools not only as a software download, but also through a web browser or mobile app. Regardless of how users access the platform—be it through a multi-monitor workstation, a laptop or even a phone—they’ll experience a level of performance and usability that notably exceeds currently available technology. TT is launching a new platform that will allow traders to visually draw out algorithms from the comfort of their Web browser. While ADL is a few years old already, the ability to launch it from the Web is a new feature. “If you’ve got a Web browser, you can have access to cutting-edge technology,” says TT CEO Rick Lane. TT’s new platform, which may be launched as early as the [first half] of [this] year, consolidates all of the technology that the firm has developed during the past several years. It offers an interface, which aims to be as user-friendly and accessible as possible. Nothing needs to be downloaded or installed. To accomplish this, TT had to re-code its entire platform, ensuring that they would not compromise the effectiveness of the technology for accessibility. TT is not the only firm that is focusing on making their technologies more accessible. “Every technology provider is trying to make their technology more accessible,” Lane says. To remain relevant in the industry, firms are required to start thinking about user experience. These are exciting days for our company and our customers. We’re accelerating the rollout of TT to early-stage users as we approach the full commercial launch, and we’re incredibly encouraged by the overwhelmingly positive feedback. for more about the new TT platform. 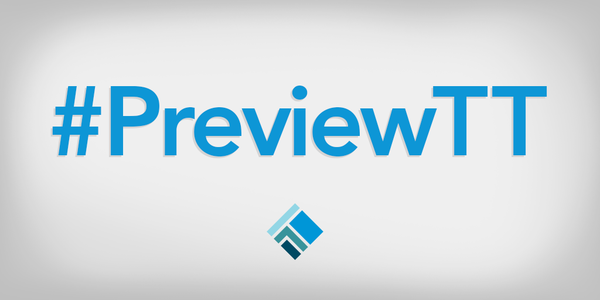 If you haven’t yet had the opportunity to experience the TT platform, follow us on Twitter and hashtag #PreviewTT, where we’re showcasing many of the unique features and benefits. You also can sign up here to receive weekly email updates. And of course keep watching Trade Talk. There is much more to come.